Republicans want to make 2018 all about Nancy Pelosi. Are Democrats ready? WASHINGTON — Facing a challenging midterm environment, Republicans are counting on two upcoming decisions to help them in the fall. One is Republican Florida Gov. Rick Scott deciding to run for the Senate, because he would put Florida into play, and because his personal wealth will force Democrats to divert resources to protect incumbent Sen. Bill Nelson, D-Fla., in the Sunshine State. Notably, Lamb has said he’d like Democrats to REPLACE Pelosi as leader. And it raises an important question: Are Democrats prepared for Pelosi — once again — to be used against their candidates? 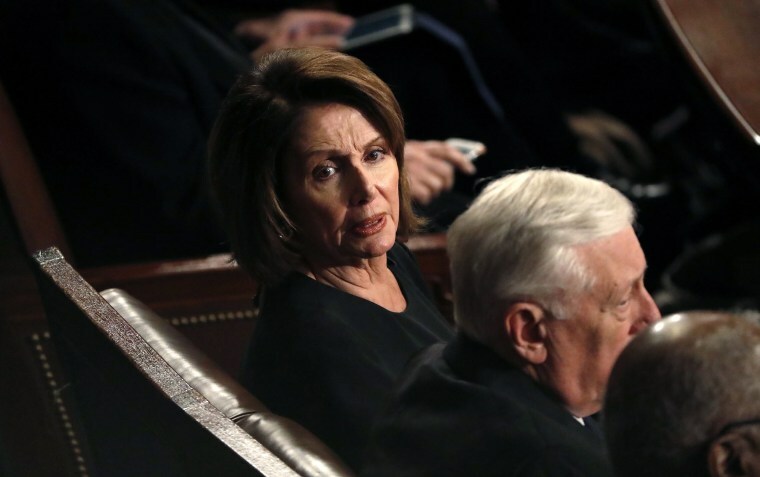 After all, Pelosi, the first and only woman to be House speaker, is more unpopular than President Trump is. According to last September’s NBC/WSJ poll, 39 percent of Americans had a favorable view of the president, versus 25 percent for Pelosi. And in so-called “Trump Counties” — the places that fueled Trump’s win in 2016 — Pelosi stands at 16 percent positive, 44 percent negative (-28), compared with Trump’s 44 percent positive, 45 percent negative score (-1), per November’s NBC/WSJ survey. Additionally, for a Democratic Party trying to promote change in Washington — their platform is a “Better Deal” — is it a winning message for them to hitch their wagon to a former House speaker? And remember, Democrats’ successes in 2017 (Virginia, New Jersey, Alabama) came in races where Pelosi wasn’t a central figure in GOP advertising. Compare that to their losses in GA-6 and MT-AL, where she was a focus of Republican attacks (see here and here). Pelosi defenders believe her prodigious fundraising and her ability to keep a potentially fractured Democratic Party together in the House more than compensate for the GOP attacks against her. "I think I’m worth the trouble,” she said after Democrats’ loss in GA-6. But how many Democrats — and Democratic candidates — agree? How big of a drag is Pelosi on Democratic candidates, even ones who have disavowed her? And ultimately, does the race even matter, given that Pennsylvania looks like it’s redrawing its congressional map (so whoever wins might represent a fundamentally different district)? But make no mistake: If Lamb loses, Pelosi will have to answer questions how/why Republicans were able to use her in defeating a candidate who didn’t even support her as leader. Meanwhile, note how Capitol Hill is essentially ignoring the president of the United States. “Senate leaders expressed optimism Tuesday that a government spending deal could be near even as President Donald Trump said he would ‘love to see a shutdown’ if Democrats don't meet his demands on border security and reforming the legal immigration system,” NBC’s Leigh Ann Caldwell reports.